Money management for an adult with special needs is an important life skill. With the many restrictions on spending due to the SSI and Medicaid rules, learning how to spend and save money without going into debt or helping a family member to do so can be complicated. Here are a few places to start. People with special needs may have trusts, guardians, and a host of complicated legal restrictions on where their money is kept. Consider a joint savings account shared with a trusted family member or guardian so that the person with special needs can easily access a limited amount of funds to meet daily needs without having to ask people for money. Alternatively, a weekly allowance might be a good option to increase financial independence. As mentioned above, it is extremely important to know where income comes from and how it will affect eligibility for government benefits. For example, if the person with special needs has a job, will earning overtime for extra shifts affect eligibility? 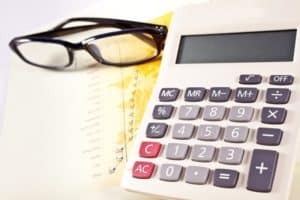 The person who oversees finances, whether it is a parent, guardian, trustee, or financial advisor, should be aware of how fluctuations in income could change available benefits. Special Needs Trusts generally cannot make distributions directly to a beneficiary with special needs and even if the trust permits this, it will often cause a reduction or elimination of government benefits. It is generally better, in most circumstances, for a trustee to pay directly for a product or services for the benefit of the beneficiary with special needs. Credit cards, ubiquitous in society today, may not be the best option for some people with special needs because of benefits eligibility issues. Instead, using a gas station credit card that can only be used at particular gas stations to pay for gas or using prepaid debit and gift cards may be better from a money management perspective, as may a secured credit card with a low limit. That said, each of these options may affect government benefits, so it’s best to consult a special needs planning attorney about which option you might choose. For some adults with special needs, budgeting is an attainable and helpful skill that increases independence. Many states and cities offer classes in money management to teach people about budgeting and spending within limits. These classes walk you through financial basics, such as how to use different types of bank accounts, tracking spending, understanding receipts and bills, and more. Choosing a class directed toward people with special needs may be beneficial because it may focus on SSI and Medicaid restrictions, along with use of adaptive technology in financial management. Using modern technology can be a boon for tracking spending if you are helping a family member with special needs. For example, you can look up credit card or debit account records online, you can pay the rent and utilities with automatic bill pay, or you can check credit reports for the person with special needs.